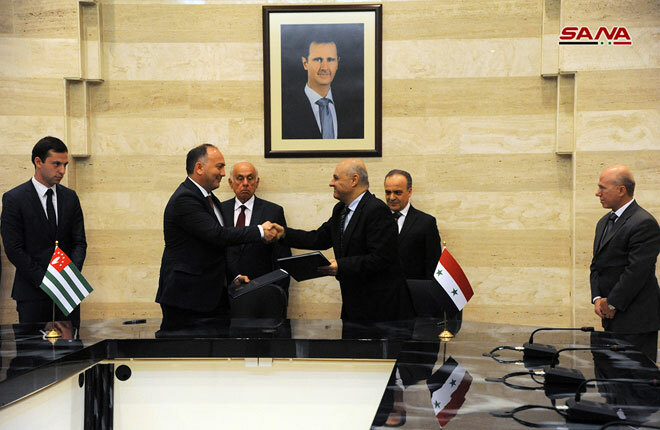 Damascus, SANA- Syria and Abkhazia signed on Thursday two agreements on enhancing cooperation in various fields. The first agreement stipulates for the establishment a joint committee for economic, commercial, scientific, technical and cultural cooperation while the second one provides for the facilitation and development of trade and economic cooperation between the two friendly countries. Syrian side while Foreign Minister Daur Kove and Economy Minister Adgur Ardzinba signed for the Abkhazian side. 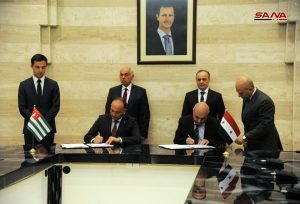 The signing of the agreements came after talks held between Prime Minister Imad Khamis and President of Abkhazia Republic Raul Khajimb and the accompanying delegation. 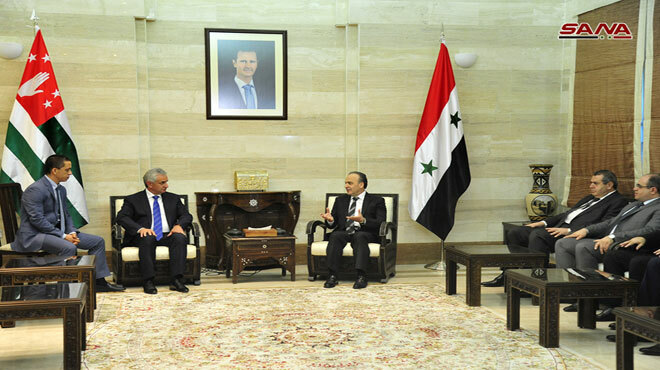 Khamis affirmed the need to work in accordance with clear bases for future cooperation in a way that achieves mutual interest for the two friendly people. 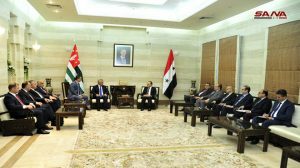 For his part, President Khajimba affirmed the importance of activating economic and tourism relations between the two countries.